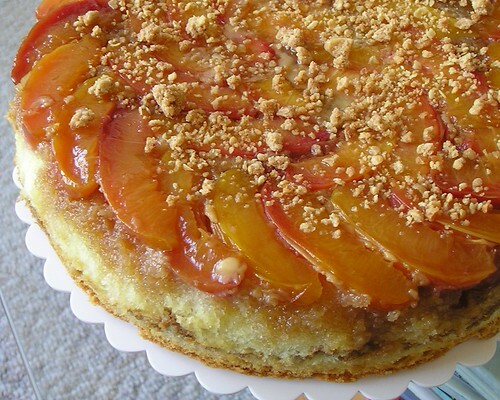 Nectarine Upside-down Chiffon Cake - Do You Know The Muffin Man? Recipe from Baking with Julia by Dorie Greenspan. Notes: This cake turned out really well. Baking time was extended by about 20 minutes (with the pan covered in foil) as it wasn’t done in the middle. A bit soggy near the nectarine part, maybe I left it in the pan to cool too long. Chiffon cake is nice and light, nice contrast with streusel and fruit.